Financial advisors don't merely pick stocks - they carefully analyze your personal curcumstances and access the market environment as they develop your investment plan. 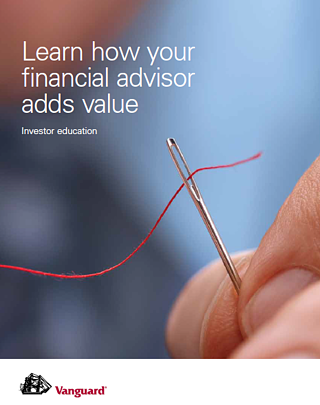 Download this 14-page Vanguard ebook and Learn How Your Financial Advisor Adds Value. The average operating expense for actively managed mutual funds is about 1.53% per year. Over time, this lowers your overall return. 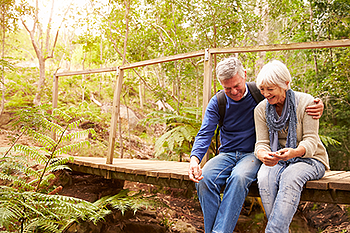 We use low-cost, institutional class funds - less than 0.50% for most diversified strategies. The typical active manager or advisor effects portfolio turnover of 80% or more per year. That costs the average investor nearly 1.0% in annual returns due to brokerage and other transaction costs. Our strategies emphasize turnover costs of less than 0.25% per year. Taxable accounts give up about 50% of their annual returns to taxes due to portfolio turnover and inefficient portfolio management. We utilize funds and strategies that emphasize a high degree of tax efficiency. Our individually designed, implemented, and managed portfolios are targeted to meet your financial objectives. We provide quarterly performance reporting focusing on the suitability of and progress towards your financial objectives. Our disciplined, long-term approach means you’ll sleep better and get on with your life by ignoring all of the Wall Street hype. Most investment advice seeks to have you transact business - and make money for others. We stay on top of global economic data, financial and economic trends as well as current issues in income and estate tax planning, retirement planning and investment management - we’re not salesmen masquerading as advisors. "Going simple and low cost are the keys to long-term gain."